Anthony Martial has said it is “easier” to play under Ole Gunnar Solskjaer than Jose Mourinho, adding that Manchester United could have an advantage ahead of the Champions League clash with Paris Saint-Germain because of high-profile absentees for the French champions. 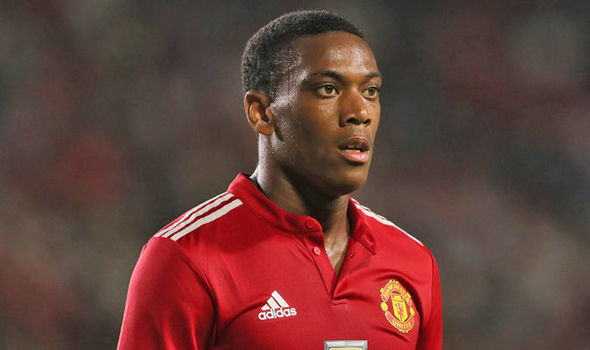 Martial has been key to United’s attacking approach under caretaker manager Solskjaer, who has started his reign at Old Trafford with 10 wins from 11 games. The France international said he has been told to “attack more” and warned PSG that United were a different team to when the draw was made eight weeks ago. “We have got a coach who has different intentions and we are trying to do what he asks,” Martial, who scored his 11th goal of the season in the 3-0 win at Fulham on Saturday, said. “Perhaps it is easier to play this style of football and not the style of football he [Mourinho] asked. PSG, who travelled to Manchester for Tuesday’s clash without injured stars Neymar and Edinson Cavani, lost 2-1 to Lyon in a recent game watched by Solskjaer and assistant Mike Phelan. Solskjaer told a news conference on Monday: “Of course, any team that has a missing player like Neymar or Cavani will feel the effect, but that will give the other players a chance. Solskjaer, who has already guided his team to victories at Tottenham and Arsenal, added: “I think the squad is very capable of winning against any opponent. “When we go into games in the form we are, we are confident — but you can’t look too far ahead we just need to make sure we go through this one and take each challenge as it comes. Meanwhile, Ashley Young, set to come back into the team after being rested at Fulham, has signed a one-year contract extension to keep him at the club until the end of the 2019-20 season Young, who moved to Old Trafford from Aston Villa as a winger in 2011, has played the majority of this campaign at right-back, having played much of last season at left-back. As well as deputising for Antonio Valencia, he has worn the captain’s armband in the Ecuador international’s absence. Young follows Phil Jones and Anthony Martial in penning new deals in recent weeks, with United still working on extensions for David De Gea, Ander Herrera and Juan Mata.